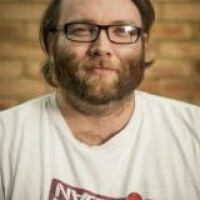 Patrick O'Luanaigh is the founder and CEO of nDreams Ltd, a fast – growing independent games publisher and developer focused on virtual reality (VR) gaming and virtual worlds. O'Luanaigh has over 19 years’ experience within the gaming industry, having previously held senior positions at Codemasters including Head of External Development and Acquisitions, signing and producing titles such as the Music/MTV series and Operation Flashpoint. From 2000 to 2006, Patrick was Creative Director at Eidos/SCi, where he was responsible for game design, gameplay and overall quality on all titles, including Tomb Raider: Legend, Hitman: Blood Money, Just Cause and Conflict: Desert Storm. 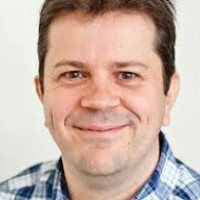 Patrick founded nDreams in late 2006,and has grown the company from a one – man team to a profitable studio with over 25 full-time staff with a seven-figure turnover. O'Luanaigh is also the author of 'Game Design Complete' by Paraglyph Press. He writes and produces music in his spare time. Large teams, small teams, global teams – there are so many different ways that studios are organised these days. And, the world has changed enabling teams to work remotely around the clock in London and Singapore on the same project. We’d all like to see crunch time becoming a thing of the past, so this roundtable discussion will dive into different company cultures and explore new ideas for killing crunch without killing your studio’s soul.